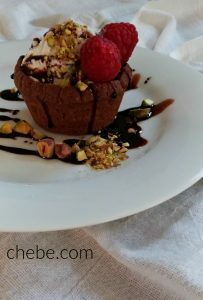 Gluten and grain free chocolate cookie cups to be filled with your heart’s desire! 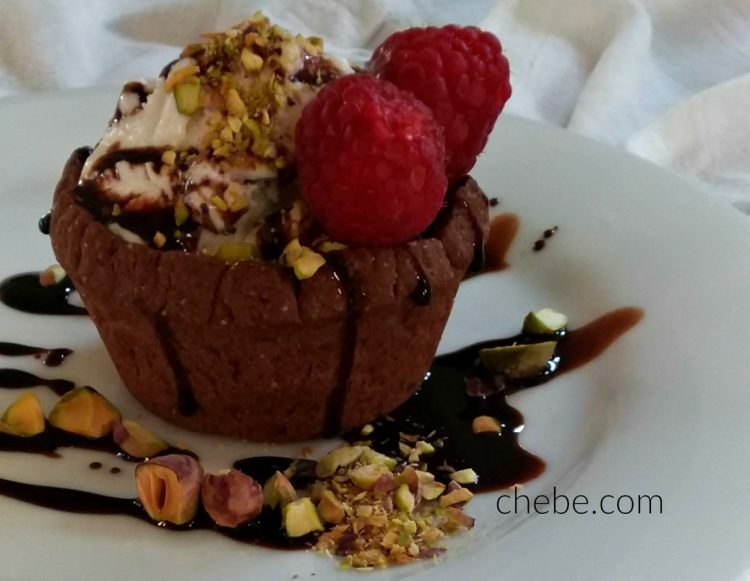 This Chēbē dough forms beautifully into the muffin tin makes a perfect, sweet and crunchy container for that cold scoop of ice cream. You know you deserve it! 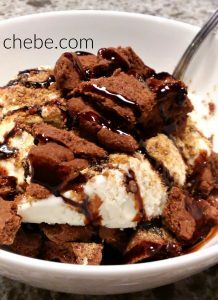 And if you want more ice cream than cookie, they are great crumbled on top! 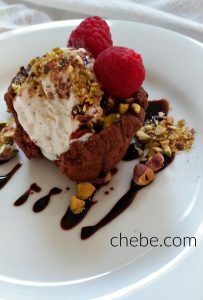 Combine the Chebe Mix, almond flour, cocoa powder and sugar (may be done with a fork and a bowl, or with a food processer). Add the butter and continue blending until it becomes a coarse meal. Add the egg and continue until it comes together. Add the water and continue mixing well. 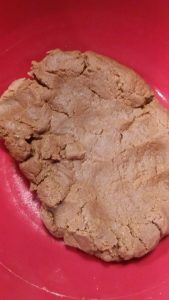 Finish making the dough by kneading it with your hands until it becomes smooth and well blended. The dough will yield about 18 oz (500g). Each cookie cup uses 1.5 oz (41g) of dough. It is best to weigh each piece on a scale; otherwise, separate the dough into 12 equally sized pieces. 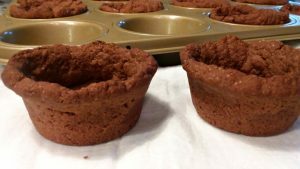 Press each piece of dough into a muffin cup so that the bottom and the sides of the cup are filled with a wall of dough. 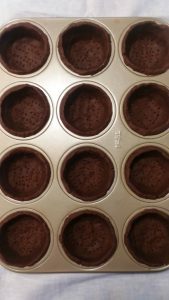 (No need to grease the muffin cups.) Smooth the upper edges with your fingers and poke holes on the bottom of the cup with the tines of a fork (this allows the hot air to escape and avoids bubbles). Bake for 15 minutes. Remove from the oven and let cool. Fill with a scoop of ice cream, frozen yogurt, gelato, or sherbet and top it with whatever tickles your fancy! 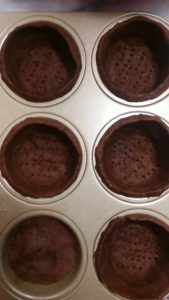 You may freeze the chocolate cups in an airtight container for later. Remove, fill with ice cream and enjoy this delicious cold dessert. 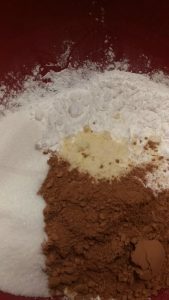 This chocolate dough can also be used for these yummy treats: Chocolate Pie/Tart Crust, Chocolate Biscotti.